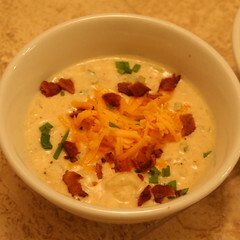 I have a delicious new secret recipe for Tony Roma’s baked potato soup that you must try. This recipe is made with baked potatoes, chicken broth and half-and-half to create wonderfully rich and hearty soup. In just a few simple steps you can make this restaurant quality soup at home for your family to enjoy. In large soup pot, cook brown onion in butter over medium heat until tender. Blend in flour until smooth; cook 1 minute, stirring. With wire whisk, slowly whisk in chicken broth and half-and-half until smooth; cook, whisking until smooth, over medium heat until mixture boils. Boil, stirring, 1 minute. Reduce heat to low. Add potatoes. Season to taste with seasoned salt and garlic pepper. Heat through a few minutes. Divide soup into 6 soup bowls. Garnish with rows of Cheddar cheese, crumbled bacon and green onions. Serve immediately. Until Next Time… Be Well! PPS- Forward this email to a friend or tell them to sign up here. 1) Sell Your Photos For Cash! While most self-tanners and sunless tanning products leave an unattractive “orange” finish, Idol Tan gives you the perfect sun-kissed celebrity tan. Self apply at home and safely give your skin a healthy bronze tone. A great recipe for your summer barbecues. Goes great on ribs! Combine milk, eggs, and salt in a mixing bowl. Soak the onions in this mixture for about 30 minutes. Place pancake mix in a shallow bowl. Heat oil for frying in a heavy skillet to 375 degrees F.
Remove the onion rings from milk mixture, dip in pancake mix and place in hot oil. Fry rings until golden brown. Transfer to a plate lined with paper towels to drain. Pack fried onion rings solidly, but loosely, without pressing too hard, into an 8-by 4-inch loaf pan. Bake at 400 degrees F for 10 to 15 minutes. Turn out onto serving plate. Get new recipes every week!